Mad Max is the 4th film in the Mad Max series directed, produced and written by George Miller. We went to see the film in Inox Screen 1 with Dolby ATMOS sound. I couldn’t be more lucky to have seen it there. This is evidently the BEST action film I’ve seen in all of time. The film is based in a post-apocalyptic world where humans have now become a wild inhumane race. 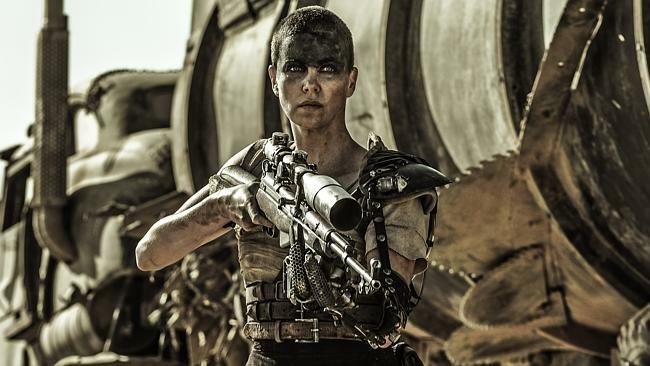 In a stark desert landscape, the story is about journey of two rebels, Mad Max – a blood bank for the War Boys, and Imperator Furiosa on a wild ride to escape from the Citadel with their ruler (Immortan Joe)’s child brides in desperate hope for a better home. The film’s characters are so well rounded and their goals are so evident. The film is thrilling with some glorious visual effects. But what I was absolutely floored by was the fully rounded world that was created in the film. Everything seemed to have been so well thought out, from the vehicle rigs, the characters, tribes, landscapes, costumes - right till the colloquium. Sayings like ‘Witness me’ used by the War Boys was used so dramatically and timely. The camera work, staging, and colour palettes were absolutely cinematic. I couldn’t stress on how important it is that audiences should watch this in a good theatre with a great screen and sound. George Miller has done such a fantastic job directing that you are always with the characters, jumping with them, feeling vengeful with them and feeling despair with them. Lastly I’d like to mention the sound. The score is absolutely thrilling and jolting and keeps you at the edge of your seat. The sound design is just spot on, and watching it in a Dolby ATMOS theatre really made it a complete compelling experience. After a little fishing I found out that George Miller has directed 3 more before this and now I’m definitely going to watch the remaining three. I really think the world designed is comparable to Avatar or the Star Wars Franchises. I’m giving this film a 10/10 on IMDB. I may change that opinion after my 2nd watch but for now, I’m so awed! !